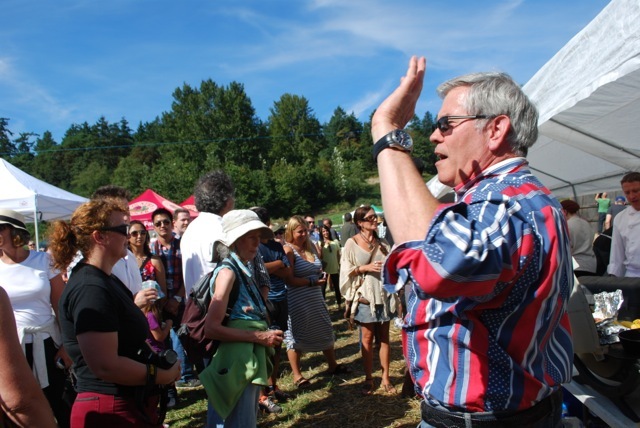 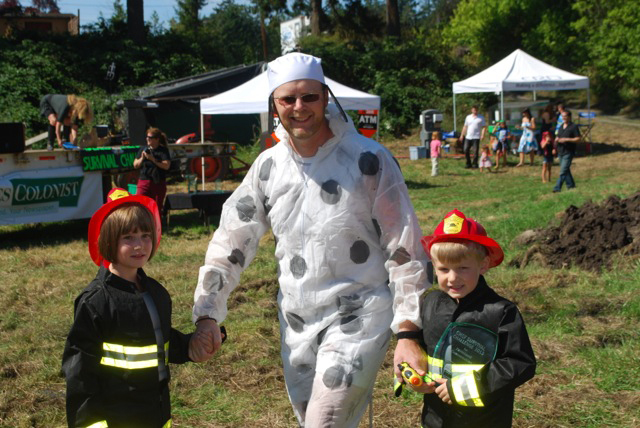 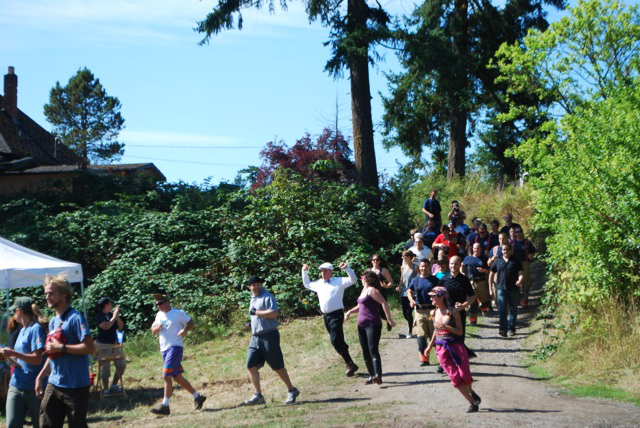 Chefs and firefighters descend on Madrona Farm. 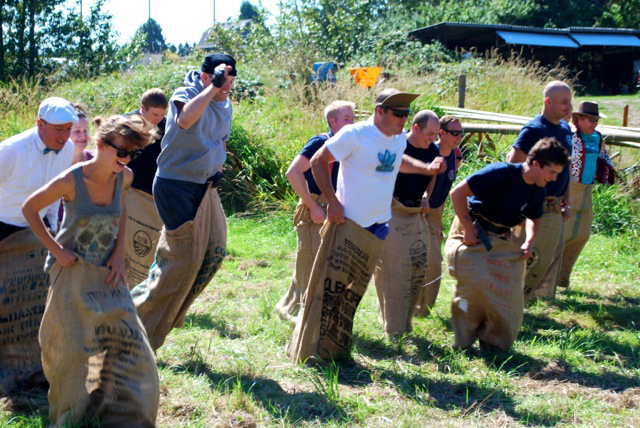 The survival challenge kicks off with a potato sack race. 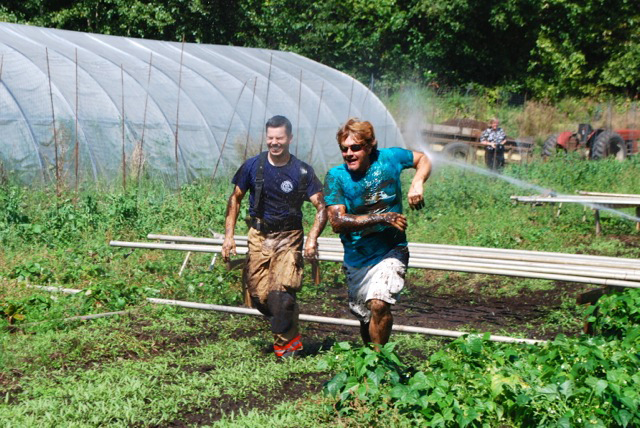 Contestants get a spray down after coming off the muddy slip and slide. 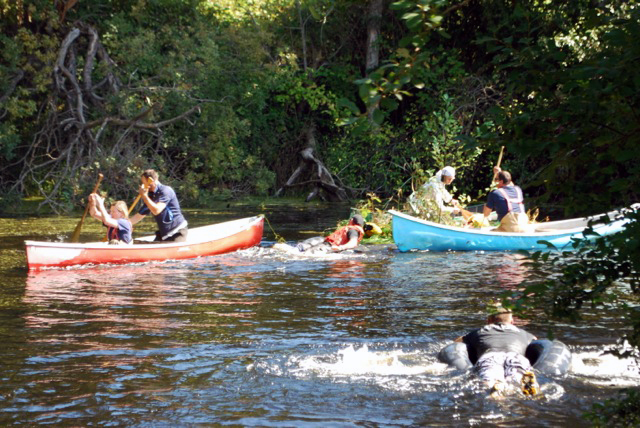 Rowing out to Condiment Island. 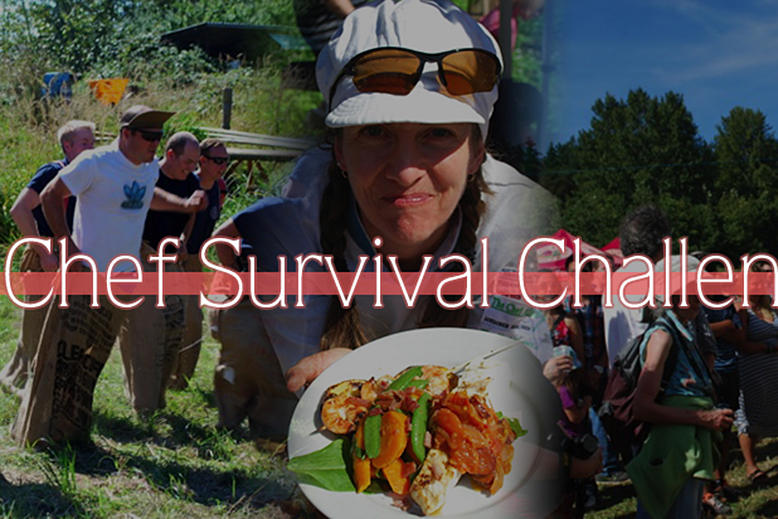 Natalie and David Chambers, Madrona Farmers and Chef Survival event organizers. 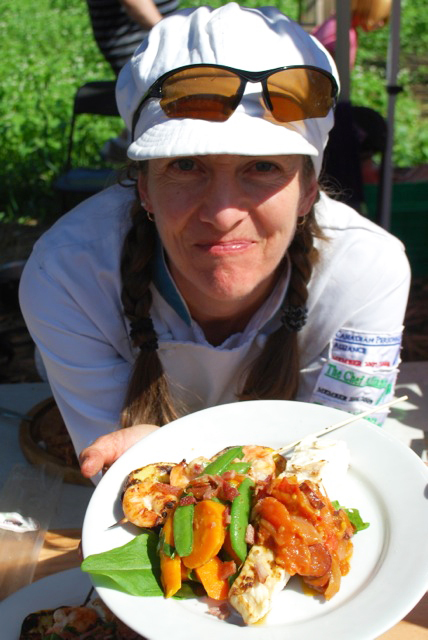 Chef Laura Moore (Good for You Gourmet) presents her plate of local halibut, bison sausage, Sloping Hill bacon and Madrona veggies. 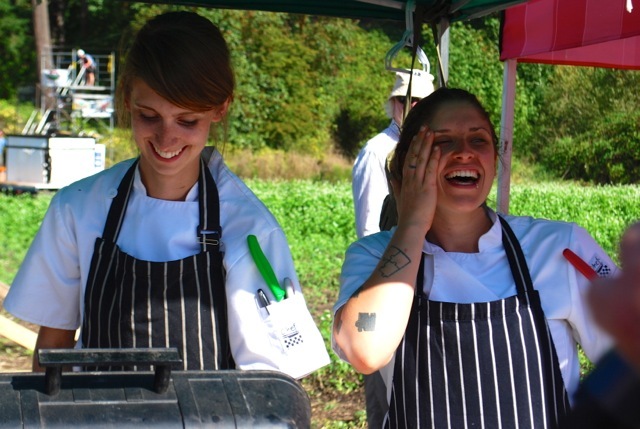 Brittany Peters and Amanda-Lee Chesley from Stage react to the bidding war over their record setting plate! 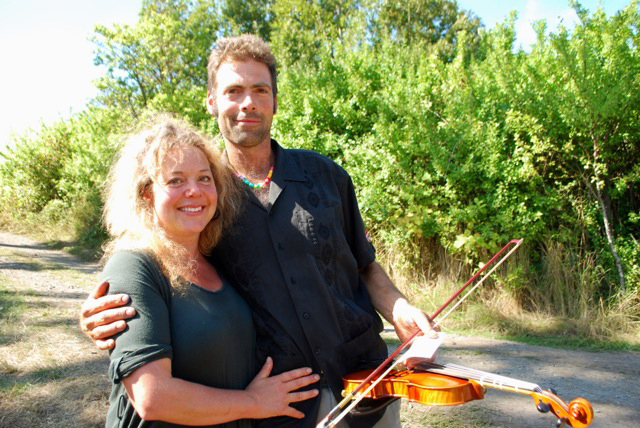 Stage won the Golden Broccoli award for the second year in a row. 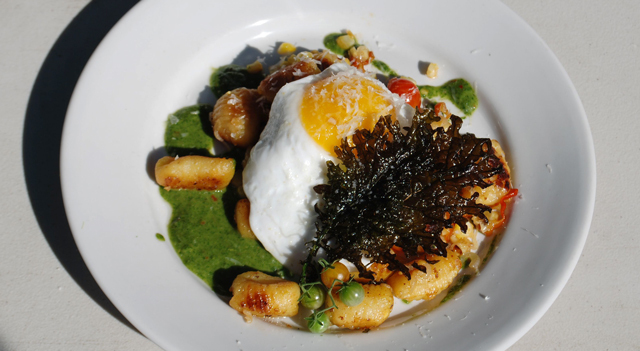 This year’s dish, Madrona farm potato gnocchi in a fresh arugula sauce with a (Madrona) fried egg and kale chip set the record for the most a plate has ever gone for at $300.